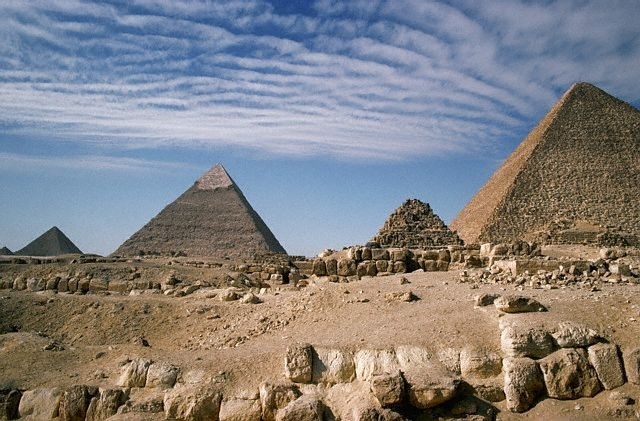 Egypt Travel representative will pick you up from your hotel, to visit the Pyramids of Cheops, Chephren and Mykerinus. Then proceed to visit the Great Sphinx, the head of a pharaoh with a lion's body, dates from the time of Chephren. The tour also includes a visit to the Valley Temple which belongs to the Pyramids of Chephren. This temple served definitely two functions: First, it was used for the purification of the mummy of the king before its burial. Second, it was used for making the Mummification process of the king.